It promotes more of a "hard" look, of what competition bodybuilders often call "quality" muscle. You do not get the same "puffy" look as you would on d-bol and many people have thus compared the results they've gotten from Turanabolic to Anavar. 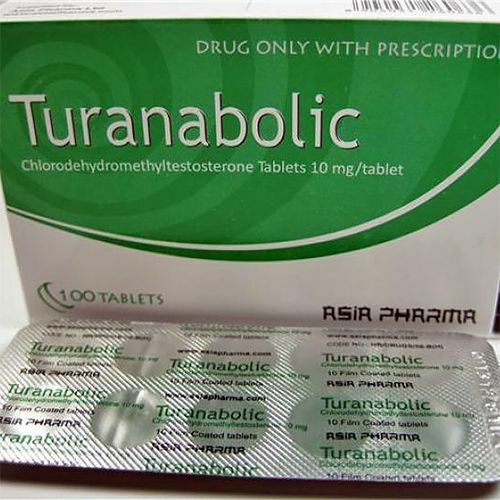 Turanabolic produce a favorable increase in lean body mass and thus a favorable increase in strength/speed and an athletes strength: bodyweight ratio. Turanabolic is a viable tool in a lean mass cycle, cutting cycle, or any athletes drug intake routine. I have been using this for five weeks@ 60mg per day. Good lean gains and no side affects. takes about four weeks to kick in. I would recomend it for cutting as its no mass builder. I could feel awesome pumps, rock hard muscles and strenght gains. Sides: indigestion and lower back pumps. After week 3 my body weigh improved: off 4 kg and down with fat.